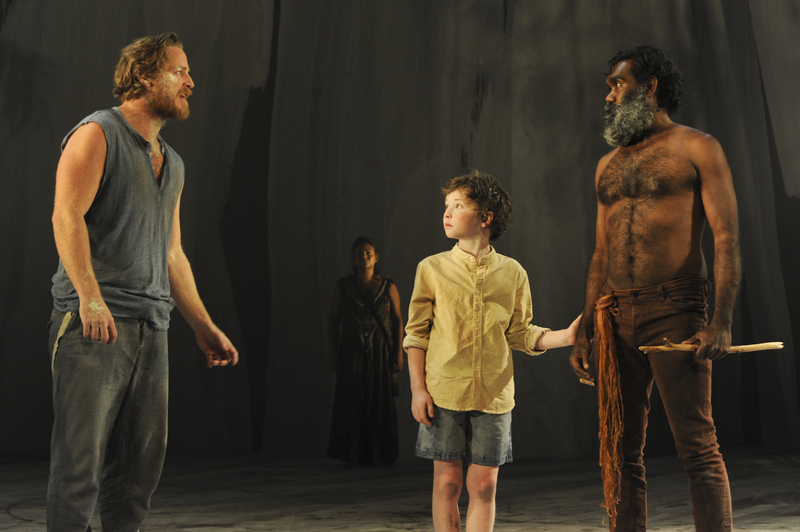 Sydney Theatre Company’s stage adaptation of The Secret River was the big winner at the 2013 Helpmann Awards, receiving six awards from 11 nominations including Best Play, Best Direction of a Play (Neil Armfield) and Best New Australian Work. Andrew Bovell’s stage adaptation of Kate Grenville’s award-winning novel was a popular choice at last night’s ceremony at the Sydney Opera House, hosted by Eddie Perfect and Christie Whelan Browne. However, the musical category has caused a fair amount of discussion on social media, with some believing that South Pacific was unjustly snubbed. King Kong – the new musical from Global Creatures – had been portrayed in some sections of the media as the main rival to The Secret River in terms of its potential to sweep the awards. 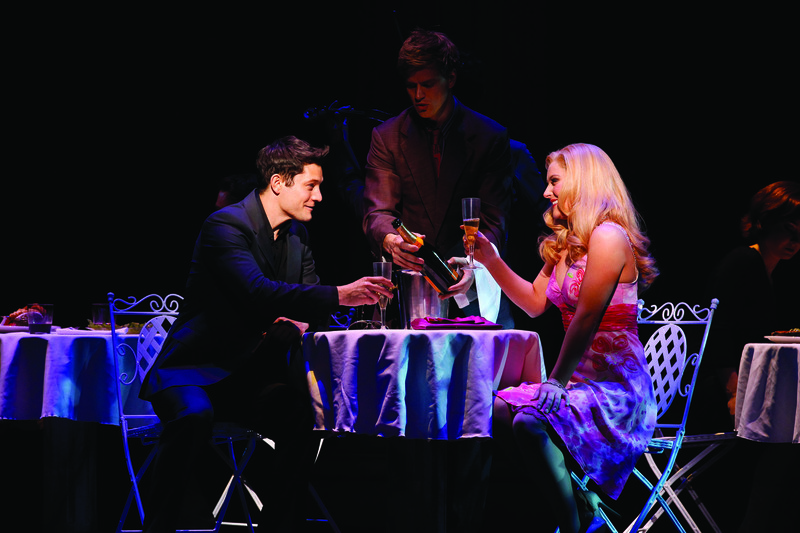 But it was Legally Blonde that took out the main awards in the musicals category, winning five from eight nominations including Best Musical (over South Pacific, The Addams Family and A Funny Thing Happened on the Way to the Forum), Best Direction and Best Choreography in a Musical (Jerry Mitchell) and performing awards for Lucy Durack and Helen Dallimore. Tellingly, King Kong was not nominated for Best Musical or Best Direction of a Musical – and rightly so, I would suggest, for a show that most critics agree needs more work on its book. The show was also given a special award for Outstanding Theatrical Achievement for the design, creation and operation of King Kong – the creature. Apparently there was genuine discussion at one point as to whether King Kong himself could actually be nominated as best performer. He is certainly truly extraordinary but since he is a puppet, common sense prevailed. Technically King Kong was not eligible for consideration at this year’s awards since it had its opening night on June 15 after the cut-off date of May 31. However, the rules allow for late inclusions in “exceptional circumstances” and given the relatively weak field of musicals over the last year, the decision to include it was presumably made to bolster the field. For my money, Bartlett Sher’s production of South Pacific – presented by Opera Australia in association with John Frost – was the best musical of the year. Of course, that’s a subjective view, however, it did win Best Musical at the Sydney Theatre Awards over Legally Blonde, Love Never Dies and Chitty Chitty Bang Bang. There’s also the question of whether a revival should be judged against a new musical, let alone a new Australian musical, and whether we should be giving Best Musical awards anyway to shows that are carbon copies of overseas productions, regardless of how well we perform them. (We could still give awards for performances in a musical). Among the four nominees for Best Musical this year, only John Frost’s Forum (seen in Melbourne) was a new production created in Australia. There is probably more chance of voters having seen all the nominations in the musicals category than any other as most of them tour nationally – as Legally Blonde and South Pacific did. There seemed to be a few curious omissions among the nominations this year. With no disrespect to any of the nominated performers, it seemed strange, for example, that none of the cast of South Pacific were nominated despite the production being up for Best Musical. Such oversights have happened before (remember when Cate Blanchett failed to gain a nomination for her stellar performance in A Streetcar Named Desire). For me there were one or two others this year but it is inappropriate to name names when, again, these things are so subjective. Partly I’m sure that this is the result of trying to ensure a broad geographical spread of nominations (though there are always complaints that Sydney and Melbourne are over-represented) and partly because it is the producers who put forward the nominations in the first place, paying a $50 fee per entry. You can’t help thinking that there must be at least some element of strategy as to who and what a producer nominates in order to raise the profile of a show or a performer. I have also always found it odd that the Helpmanns give awards for Best International Contemporary Concert. This year Bruce Springsteen & The E Street Band Wrecking Ball won over Coldplay, Barry Gibb and Tedeschi Trucks Band & Trombone Shorty. Doubtless the producing team and their staff work extremely hard to make these tours happen but surely the Helpmann Awards should be about honouring and supporting Australian entertainment. Among other major awards, Geoffrey Rush won Best Male Actor in a Musical for Forum, Colin Friels won Best Male Actor in a Play for Belvoir’s Death of a Salesman, Alison Bell (who had two nominations in the one category) won Best Female Actor in a Play for Hedda Gabler at the State Theatre Company of South Australia, Opera Australia’s Salome won four opera awards, while Bangarra Dance Theatre collected two. With 43 categories, it was a loooong night running around four hours. The entertainment helped maintain interest notably Tim Minchin singing “When I Grow Up” from Matilda the Musical, and performances by the casts of Grease and Hot Shoe Shuffle, among others. Disclaimer: Jo Litson is one of the industry voters for the Helpmann Awards. This entry was posted in Musical Theatre, News and Views, Theatre and tagged A Funny Thing Happened on the Way to the Forum, Alison Bell, Andrew Bovell, Bartlett Sher, Christie Whelan Browne, Colin Friels, Eddie Perfect, Geoffrey Rush, Helen Dallimore, Helpmann Awards, Iain Grandage, Jerry Mitchell, John Frost, KIng Kong, Legally Blonde, Lucy Durack, Marius de Vries, Neil Armfield, South Pacific, Sydney Theatre Company, The Addams Family, The Secret River by jolitson. Bookmark the permalink.